Owners of the AMG variant of the Mercedes-Benz CLS 63, using the twin turbocharged petrol 5.5-litre engine, can now enjoy enormous gains thanks to the latest ECU remap from global leader, Superchips. Leaving the factory with an-already impressive 557bhp, the Superchips’ remap adds a significant 72bhp at 4765rpm and a just-as-impressive 155Nm torque at 3106rpm, bringing the total torque of the engine to close to 1000Nm. The curves with the Superchips remap follow the same general shape as those of the original engine but with greater power and torque, endowing the car with even better performance than from the factory but with the same smooth delivery. In addition to the improved performance, the electronically-imposed speed limit of 155mph can be removed and any ‘Check Engine’ lights that have illuminated, due to the fitting if a sports catalytic converter or the removal of the catalyst completely, can also be extinguished. The conversion is carried out by one of Superchips nationwide dealer network and typically takes around an hour. Customers can either wait at the dealer or drop off their car and return later to collect. 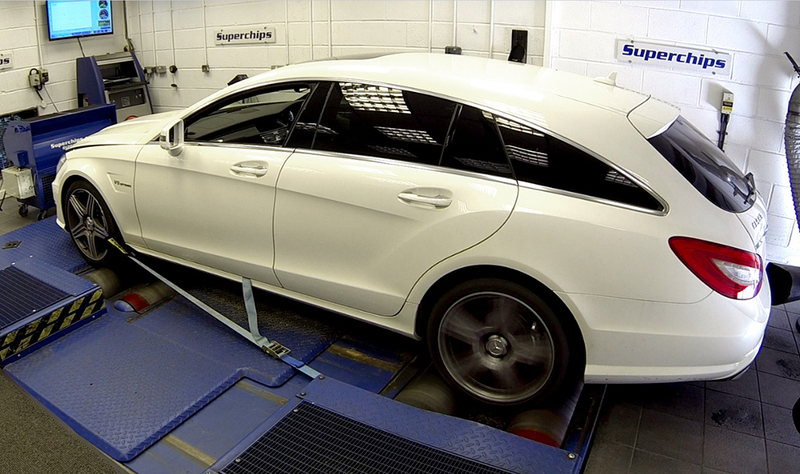 The cost of the remap is £799 including VAT and labour. The conversion is covered by Superchips’ 12-month/30,000-mile warranty*. Great blog! The content is indepth and informative and all readers have something to learn! Thats me talking as a professional. This blog gets 5 out of 5 from me! Well Done.